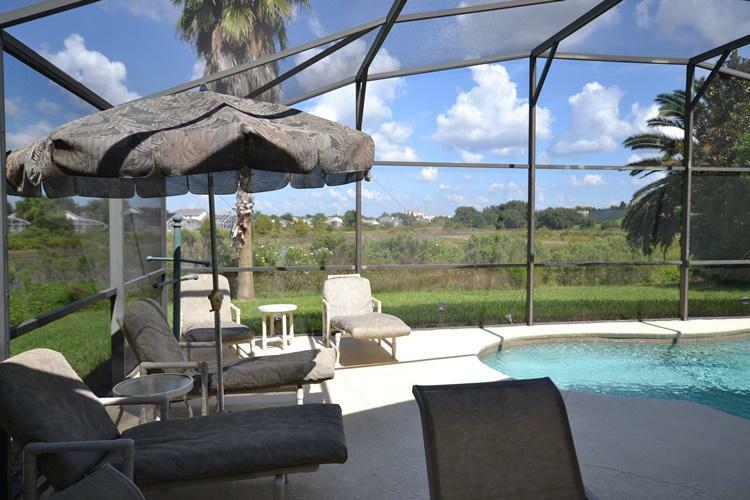 See nightly fireworks while relaxing on the pool deck from this luxury four bedroom, 3 bath pool home. 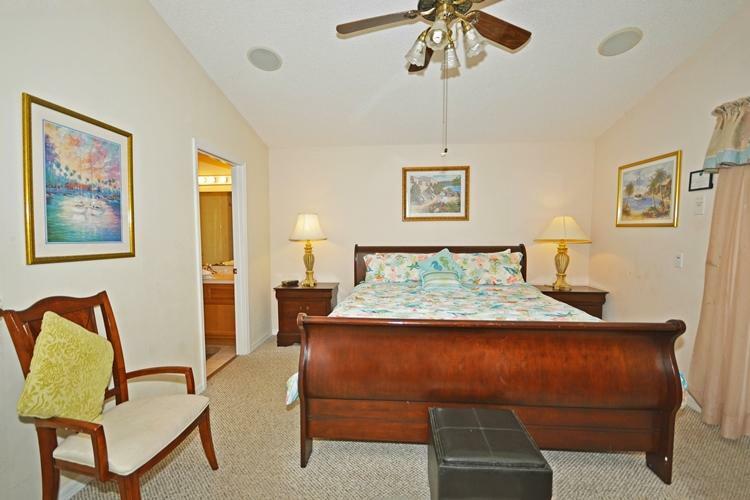 This home has two master en-suites both with king size beds and flat screen televisions. 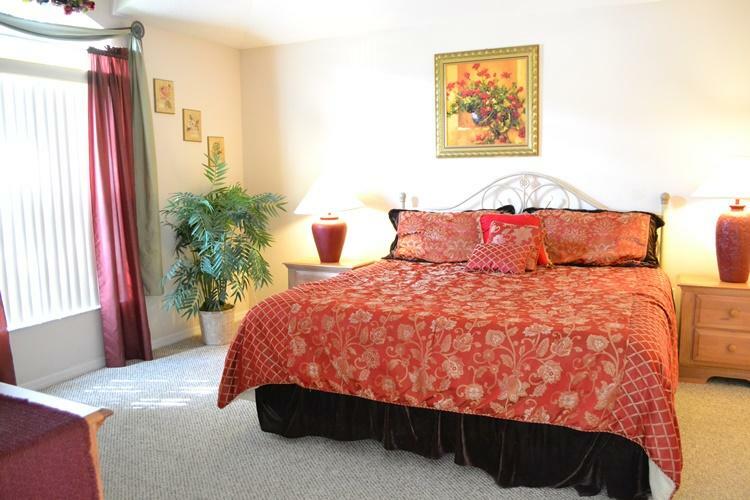 In the third bedroom you will find a queen bed and flat screen television. The fourth bedroom has two twin beds and is set up for the little ones to enjoy their stay with a Nintendo 64 and Playstation game system. A nice selection of child books are also available for them to enjoy. 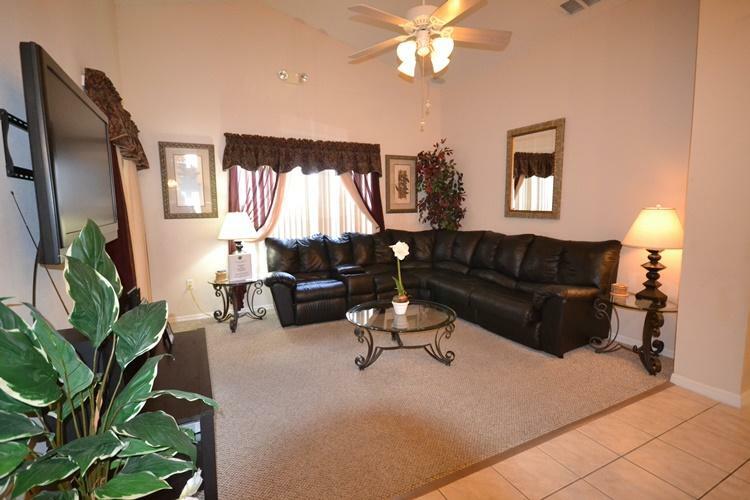 Comfortable sectional sofa provides plenty of seating after a long day at the parks. 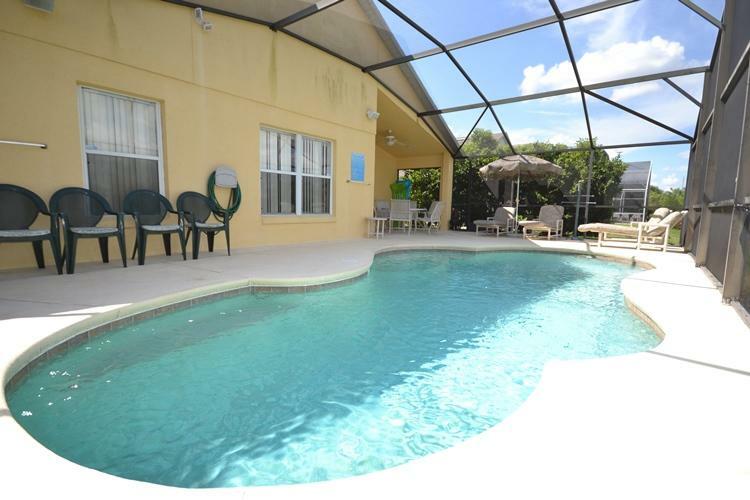 Large Flat screen television, DVD player and surround sound will also be found here to truly enjoy yourselves. 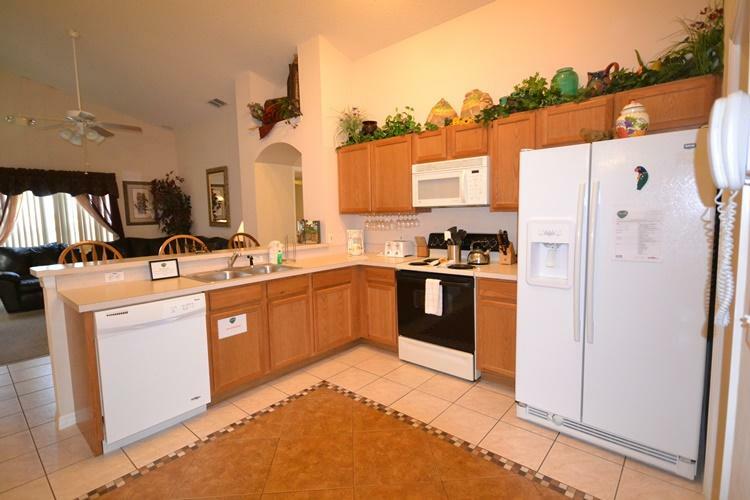 You will also find a fully equipped kitchen to create any type of meal you desire. Through the kitchen you will find a nicely equipped games room with Ping-Pong table and Foosball as well as a dart board. 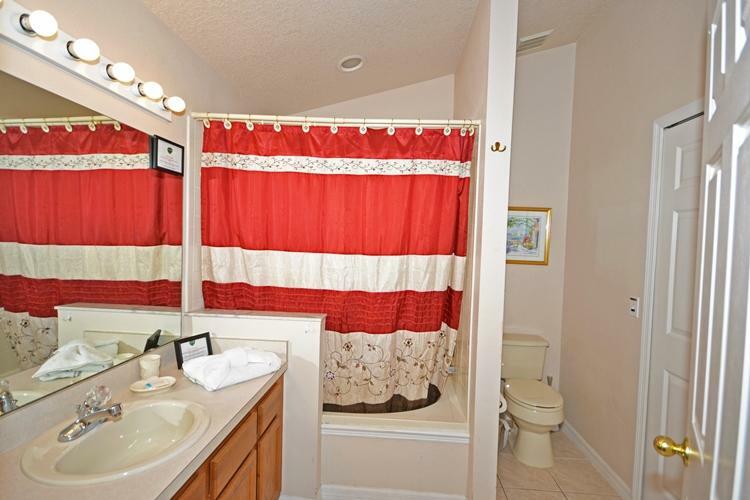 You will find hours of entertainment in here! 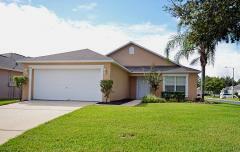 The home is minutes from a large amount of shopping and dining choices. 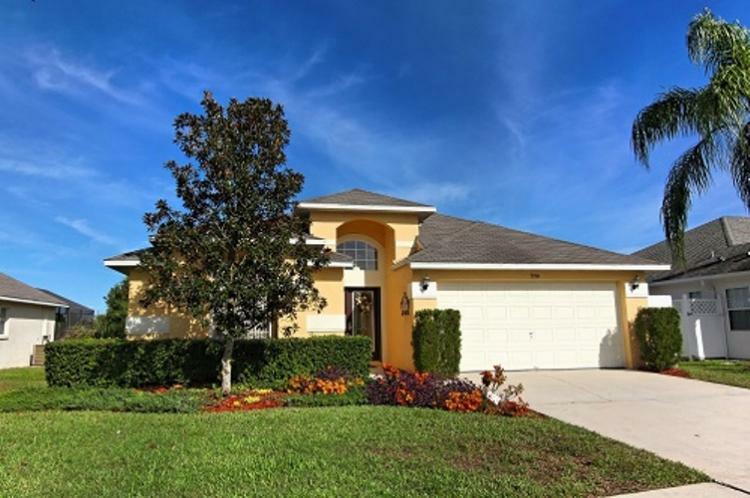 All you are looking for can be find in this home!